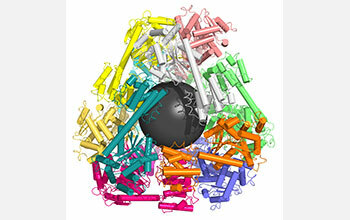 A molecular cage created by designing specialized protein puzzle pieces. 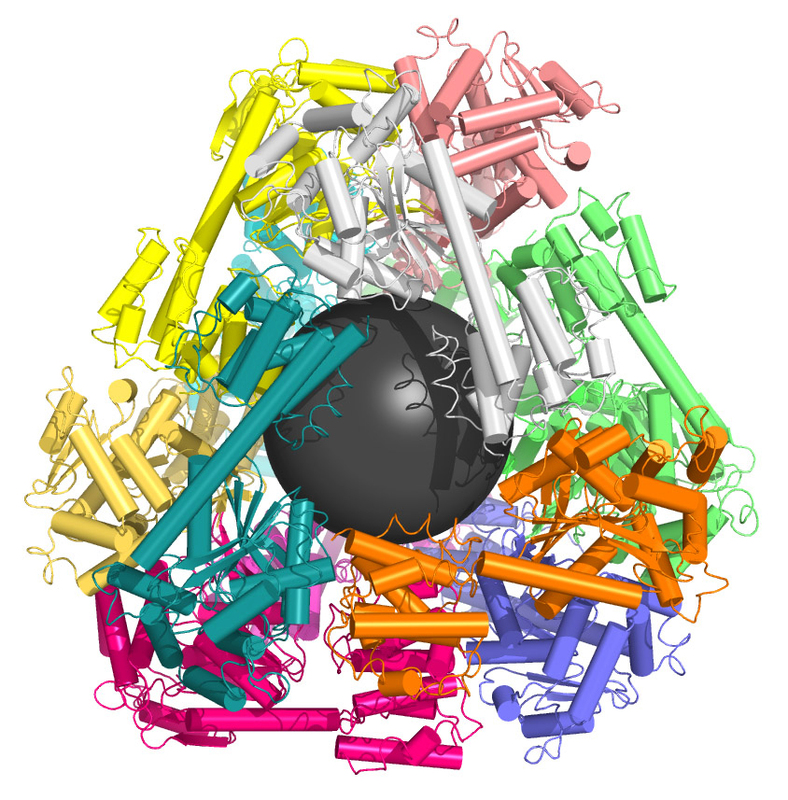 Every color represents a separate protein, where cylindrical segments indicate rigid parts and ribbon-like segments indicate flexible parts of each protein chain. The grey sphere in the protein cage was placed there to indicate the empty space in the middle of the container and is not part of the molecular structure. In 2012, University of California, Los Angeles (UCLA), biochemists designed specialized proteins that assemble themselves to form tiny molecular cages hundreds of times smaller than a single cell. The creation of these miniature structures may be the first step toward developing new methods of drug delivery or even designing artificial vaccines. "This is the first decisive demonstration of an approach that can be used to combine protein molecules together to create a whole array of nanoscale materials," said Todd Yeates, a professor of chemistry and biochemistry at UCLA. The research, supported by the National Science Foundation, could be utilized to create cages from any number of different proteins, with potential applications across the fields of medicine and molecular biology.